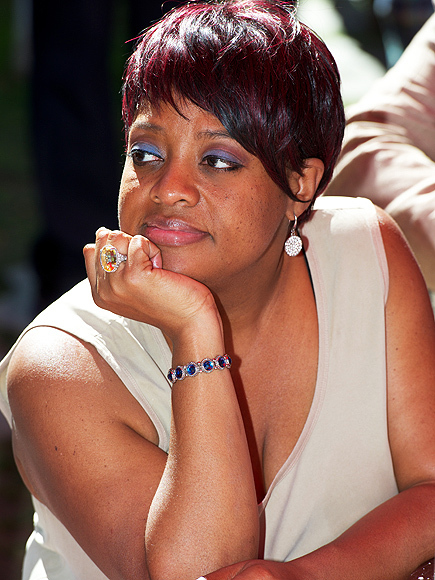 Sherri Shepherd Must Remain on Birth Certificate of Son Born Via Surrogate, Pay Child Support - Melissa B. Brisman Esq. Former The View co-host Sherri Shepherd lost her fight to have her name removed from the birth certificate of the son she had via surrogate, and she must continue paying child support for the 1-year-old boy being raised by her ex-husband, according to court documents obtained by PEOPLE. The ruling upholds a lower court’s April decision that Shepherd is the legal mother of the baby, named LJ, she had with ex-husband Lamar Sally. Shepherd and Sally used a donor egg for the pregnancy, which was carried by surrogate Jessica Bartholomew. Months into the pregnancy in May 2014, Shepherd and Sally split. Shepherd’s attorney and manager did not return requests for comment on Monday’s ruling. But in August, the star told PEOPLE she went through with the surrogacy despite her marital problems because she feared Sally would break up with her. Since the child’s birth last year, Shepherd has fought to prevent having her name on the birth certificate. It was not originally put on the certificate because she was not present at the birth and refused to acknowledge she was the mother, resulting in litigation, Brisman has told PEOPLE. After a judge ruled in April that Shepherd must pay alimony and child support, Shepherd fought the decision before a three-judge panel on Oct. 5 in Pennsylvania Superior Court. Shepherd can still appeal Monday’s decision to the Pennsylvania Supreme Court.